Winter Solstice is today, Dec. 21, 2009, the day when the Earth tilts farthest away from the sun. It's the shortest day of the year and the official start of winter. The word "solstice" comes from the Latin "sun stands still" and celebrations of the solstice pre-date Christmas. Stonehenge in England is the site of solstice festivals, apparently dating back some 4,500 years ago, when the site was in its proper cultural context. 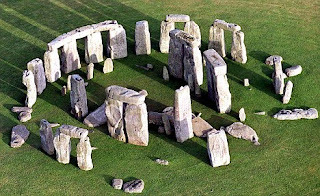 Some experts now believe that Stonehenge was the site of an ancient barbecue and midwinter celebration that culminated on the Winter Solstice, which also marks the beginning of longer days. From today's Guardian: "Recent analysis of the cattle and pig bones from the era found in the area suggests the cattle used were walked hundreds of miles to be slaughtered for the solstice celebrations – from the west country or west Wales." And from English Heritage: "The monument we see today still inspires awe and admiration. Stonehenge attracts some 800,000 visitors a year and on the summer Solstice, thousands of people gather to watch the sunrise. Although thousands of years older than the Druids, the stone circle witnessed many druidic ceremonies, especially during the 19th century." His team fully excavated some huts but located the foundations of scores more, the largest neolothic settlement in Britain. To his joy it was a prehistoric tip, "the filthiest site known in Britain", as he dubbed it. "I've always thought when we admire monuments like Stonehenge, not enough attention has been given to who made the sandwiches and the cups of tea for the builders," said Parker Pearson. "The logistics of the operation were extraordinary. Not just food for hundreds of people but antler picks, hide ropes, all the infrastructure needed to supply the materials and supplies needed. Where did they get all this food from? This is what we hope to discover." "We are going to know so much about the lives of the people who built Stonehenge," Parker Pearson said, "how they lived, what they ate, where they came from." For those of you who have not visited this sacred site, I should mention that the complex is roped off. Visitors observe the stones from a distance and are not permitted within the temple complex..........special access tours allow you to be amongst the stones and to actually touch them. A guide will bring to life its many myths, legends and rich and fascinating history. All tours depart from central London and Salisbury. This truly is the best way to experience Stonehenge! There are a number of companies offering this service (some better than others) and I will post their available dates and contact details on this blog first. Remember some tour operators only take small groups and demand is high, many filling up months before - you have been warned, book early! You know Stonehenge, of course: a haunting silhouette from the past that stands gaunt and defiant on the chalky grassland of Wiltshire, just where the busy A303 and A344 meet. This inspirational stone circle, a triumph of the human spirit, was bequeathed millennia ago. It is now protected by English Heritage and forms part of a Unesco World Heritage Site. Last year, almost 900,000 visitors stepped from their cars and coaches to get closer to the neolithic wonder. An enriching experience, set to become better still when a new visitor centre opens next year. It is tantalising, though, to be so close to the stones, yet unable to wander through them and wonder at the forces that brought them here. Since 1978, they have been off-limits because of worries about vandalism and erosion caused by rising visitor numbers. How much more rewarding it would be to be able to walk unfettered beyond the "velvet rope" that keeps visitors at bay. Well, an average of 1,000 people a month are lucky enough to get up close for a personal experience of the stone circle. On a range of days throughout the year, people who book ahead can get access to the heart of the site, in groups no larger than 26. I signed up for the last such tour in September – which is why at dawn on Monday, I could be seen cycling north from Salisbury station in order to make the appointment of 8am sharp. 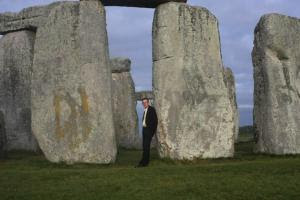 A brief history of Stonehenge, I mused as I huffed and puffed, is an impossible task. Suffice it to say that around 5,000 years ago, a circular ditch and mound was created. The site's initial purpose seems to have been as a cremation cemetery. Perhaps half a millennium later, around 2500BC, standing stones were introduced – including the massive slabs topped by lintels that give Stonehenge its popular profile. By the time the Romans arrived, the site had long lost its ceremonial significance – and spent most of the Christian era being regarded as about as much use as a pile of old stones. Yet in a remarkable early 20th-century conservation effort, a campaign succeeded in preserving the site, removing latter-day buildings and saving the signature site for the nation. The 21st-century explorer needs the Ordnance Survey Landranger map 184, "Salisbury & The Plain". The place names provide a mix of excitement (Old Sarum, Druid's Lodge, Longbarrow Cross Roads) and foreboding (Breakheart Bottom). A gothic font pops up a lot, highlighting a remarkable density of earthworks created by ancient Britons as gifts from the living to the dead. Stonehenge is just one element in an elaborate network of ceremonial sites scattered across Wiltshire, but it is by far the most prominent. When first they appear on the horizon, the raw reality of the stones makes you gasp – especially if you happen to be on a bike: Stonehenge is about 300 feet above sea level. Everyone else on my tour had the good sense to arrive by coach: a company called Premium Tours has a regular day-trip schedule from London, which also includes Laycock and Bath. With a moment of trepidation, I stepped past the "No admittance" sign and on to the soft, springy grass, unwittingly triggering a faint mist of dew. Like latter-day pilgrims, we followed the tour leader, Jason Ridgley, to the "altar stone" at the centre of the circle. Up close, you are overwhelmed by the scale of the construction: blocks of hard sandstone from 25 to 50 tons, quarried from the Marlborough Downs and dragged by weight of numbers and sheer determination around 4,000 years ago, to form a circle of 30 massive stones. They were topped, thanks to primitive but effective inventiveness, with huge lintels. Many of them have fallen, but here in the centre of the circle you can easily envisage its completeness. The brute physical achievement is matched by remarkable sophistication about the workings of the cosmos. 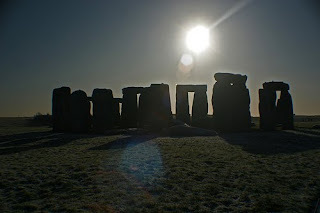 The stones appear to have been aligned so that at dawn on the summer solstice, the sun rises directly in the line from the "heel stone", set beyond the circle close to the road, and the altar stone. "It's my favourite tour," says Jason, who conducts a wide range of trips. "Everyone has planned their visit months in advance, and is psyched up for something they have waited their whole lives to see." The noise from the traffic seems to evaporate with the dew, with the silence broken only by the staccato of shutters. You feel strangely awed, reverential even, at being in the heart of such a profoundly mystical monument. Some places in Mayan Mexico and Guatemala feel like this, but they are tougher to reach, and much younger. Time to take in the detail: the lichen in the tones of autumn that clings to the stone, bestowing texture and colour on sandstone worn pale by the elements. Early tourists painstakingly and shamefully carved their initials on one of the tallest stones, which – just below the waist-high messages – also bears ancient carvings of axe-heads. The smaller slabs of bluestone within the circle are remarkable more for their provenance than their scale: the Preseli Hills in Wales, about 200 miles away – or, possibly, brought closer by glaciers. The more we know about Stonehenge, the more there is to know. "It's exactly as I thought it would be," said David Gray from Manitoba in Canada, as we reluctantly walked back to the 21st century. Is that that a good thing, I wondered? "Yes, it's a very good thing," he replied. 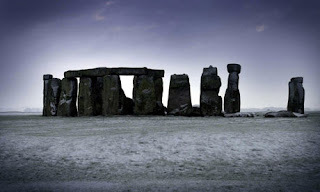 Stonehenge is closed over Christmas! To mark the end of the International Year of Astronomy, Stonehenge, with its 5,000 year long astronomical connection, is hosting a series of celebrations in December. 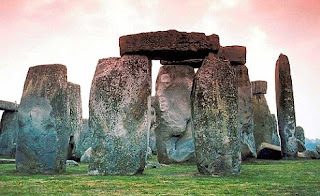 The attractions include a free public astronomy exhibition, as well as the opportunity for Stonehenge visitors to ask the experts on the relationship between the sky and the ancient stone circle. From 16th December to 3rd January 2010 visitors can enjoy a stunning exhibition - 'From the Earth to the Universe', which features incredible images of objects across the Universe- from stars to planets to nebulae and galaxies, all created using telescopes. In the run up to the Winter Solstice, from 16th to 19th December leading specialists - both archaeologists and professional astronomers will be on hand to answer any questions you might have. For further information on the International Year of Astronomy, Royal Astronomical Society and celebratory events at Stonehenge visit the event's website. 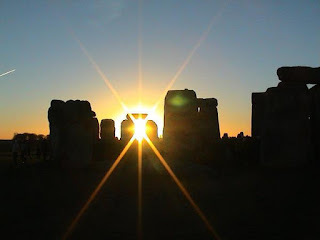 It is well known that there is a connection between Stonehenge and sunrise and sunset on the longest and shortest days of the year. 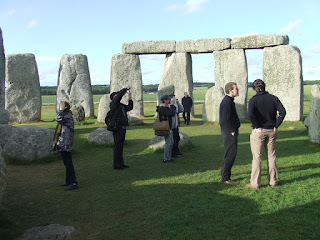 To celebrate this connection between the stones and the sky, in the International Year of Astronomy 2009, a special event has been organised by the Royal Astronomical Society together with English Heritage. Sadly not all operators offer a great experience. I am familiar with the good and the bad and have provided a link to a Stonehenge tour website that has managed to negotiate special discounts and only use the best companies and approved guides. The advantage of booking through them is that you get 'real time' availability and instant booking confirmation. 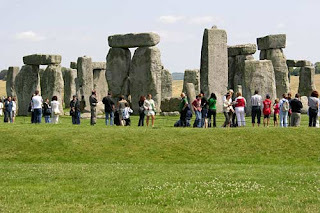 Stonehenge is the most visited attraction in Britain and by far the most popular tour so booking well in advance is essential, especialy if you are tring to join a 'Stonehenge special access' tour where there are very limited dates. Click here to view all the Stonehenege Tours avaialble - enjoy and good luck! Should you prefer a more personal experience and would like to visit Avebury Stone circle, Old Sarum, buriel mounds, Silbury Hill and even some crop circles please contact me for a private tour - I'm not greedy and a garantee a truly memorable day. Labels: Stonehenge guided tours form London. Was Jesus taught by the Druids ? As a book of record the New Testament doesn't do too well on the early life of Jesus Christ. The large holes may explain why so many outlandish theories have been able to build up about what the Son of God got up to as a boy. Now a film has sought to add flesh to the fable by claiming it's perfectly plausible the Messiah made an educational trip to Glastonbury. And Did Those Feet explores the idea that Jesus accompanied his supposed uncle, Joseph of Arimathaea, on a business trip to the tin mines of the South-West. Whilst there, it is claimed he took the opportunity to further his maths by studying under druids. Unsurprisingly, the documentary stops short of concluding the visit did take place, noting 'Jesus's shoe has not turned up'. However, the makers insist that while the visit is unproven, it is possible. The theory is that he arrived by sea, following established trading routes, before visiting several places in the West Country. In the film, Dr Gordon Strachan, a Church of Scotland minister, says it is plausible Jesus came to further his education. The country is thought to have been at the forefront of learning 2,000 years ago, with mathematics particularly strong. Ted Harrison, the film's director, said: 'If somebody was wanting to learn about the spirituality and thinking not just of the Jews but also the classical and Greek world he would have to come to Britain, which was the centre of learning at the time. 'Jesus was a young man curious to find out about all sorts of things. 'We know there is a huge gap in the life of Jesus between when he was born and when his ministry started. Mr Harrison, a former BBC religious affairs correspondent, says Jesus may just have been a boy when he left the Middle East for England. Combine great value and great sightseeing with the Great British Heritage Pass. Giving you free entry to nearly 600 attractions in England, Scotland, Wales and Northern Ireland, the multi-day heritage pass takes you on an amazing journey through Britain's rich cultural heritage. Britain has a vibrant history, and scores of brilliantly preserved stately homes, palaces, castles, gardens and famous monuments to visit. Plan your visit using the Great British Heritage Pass and the free 40-page guidebook you'll receive  and save money along the way. This year, the Solstice sunrise is on the morning of Monday the 21st December. Sunrise itself is around 08.09 a.m. (exact times will be posted nearer to the event). open the site to the public from 07.30 a.m. for a couple of hours. when I do get the times I will post them on the main page. The Government body responsible for maintaining the nation's historic monuments has been forced to withdraw a children's guide to Stonehenge because it was littered with factual errors. The book, called The Ghastly Book Of Stonehenge, has become a laughing stock among archaeologists because of its many blunders. English Heritage, which receives £129million a year in Government funding, has recalled 4,500 copies of the £3 book and now plans to pulp them. A spokeswoman said last night that an 'incorrect proof' – an earlier, unedited version of the book – had been sent to the printers. The schoolboy errors include a passage in which the Bronze Age was mistakenly placed before the Stone Age, and an Ice Age mammoth was used to illustrate a chart showing Iron Age to medieval times. Mammoths finally became extinct around 1700BC – almost 1,000 years before the Iron Age began in Britain. An entry about 5th Century king Aurelius Ambrosius – believed to be the historical basis for King Arthur – mistakenly called him Aureole Ambrosias, a spelling error that appears to have been copied from the internet. One paragraph states that Bronze Age bluestones, which archaeologists believe were transported to the site in Wiltshire from Wales, arrived in around 2550BC, while 'about 200 to 300 years' later, 'New Stone Age people added some much bigger stones'. Distances and directions on maps are often wrong or contradictory with the stone circle at Avebury said to be 'about 20km' from Stonehenge in the text while on the fold-out map it's 46km. Page references are often wrong and anyone who wanted to find the entry about Merlin and Aurelius Ambrosius would be directed to Page 30, when it's actually six pages later on. The mistakes in the book, by children's author Tracey Turner, were spotted by a reader of British Archaeology magazine, which lampooned the errors in its latest edition. Editor Mike Pitts said: 'I couldn't believe it. It was supposed to be written in a style that makes it accessible to children but the result was a catalogue of errors too many to list, so I thought it our duty to publish the story. 'Not only that but the book was written in a style that really pokes fun at the people of the past in a condescending way and I think that devalues and demeans what happened at Stonehenge. 'There's even a silly reference to a site at Robin Hood's Ball near Stonehenge as being "a prehistoric nightclub". An English Heritage spokeswoman said last night: 'The Ghastly Book of Stonehenge was withdrawn as soon as it became apparent an incorrect proof containing a number of factual errors had gone to print. 'The Ghastly series was conceived in 2005 as part of a wider strategy to improve family learning at our sites. 'However, over the past couple of years, publishing at English Heritage has undergone quite a radical rethink and we are unlikely to be printing books such as these again. 'We will instead focus on providing free, downloadable resources to support teachers and families visiting our website. 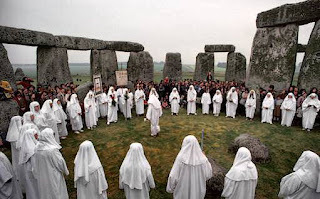 Stonehenge attracts thousands of Druids, tourists and music festival revellers from far afield each year. Now a new analysis of ancient animal teeth has revealed it was a popular feasting area as far back as 5,000 years ago. Stone-age people drove cattle across the country to 'bring-your-own' beef barbecues near Stonehenge, the tests revealed. The analysis of the teeth found at Durrington Walls, a 5,000-year-old village, showed the animals had come from at least 60 miles away. Dr Jane Evans from the British Geological Survey said the discovery showed a number of feasts were held at the Stonehenge site. She added that people travelled from as far away as Wales to get there but brought their own food rather than shopping for beef locally. 'People are coming from considerable distances and dispersion in order to have feasts,' Dr Evans said. The discovery was made by analysis of different types of a chemical element called strontium found in the soil and absorbed through food into animal and human teeth. Different types or isotopes of strontium are found in soils of different geological make-up, and the nearest match to those found in the cattle teeth are in Wales, Dr Evans said at the BA Festival of Science in Liverpool. The Stone Age Neolithic site is a massive circular earthwork close to Stonehenge that was used from around 3,000 BC to 2,500 BC, until around the time the stones at Stonehenge were put in place in the Bronze Age. An archaeological dig at the site in the 1960s revealed a circular timber structure and a vast collection of animal bones. Dr Evans added the discovery shed light on communications and movement in the Neolithic period, and showed the already-known relationship between the Stonehenge area and Wales stretched back into the Stone Age.